An oxygen-crosslinking polyurethane (OCP) waterborne formula. Also available in semi-gloss or gloss. Natural wood color enhances the beauty of the wood. One-component. No limited pot life and no wasted finish. Exceptional flow, leveling and build. 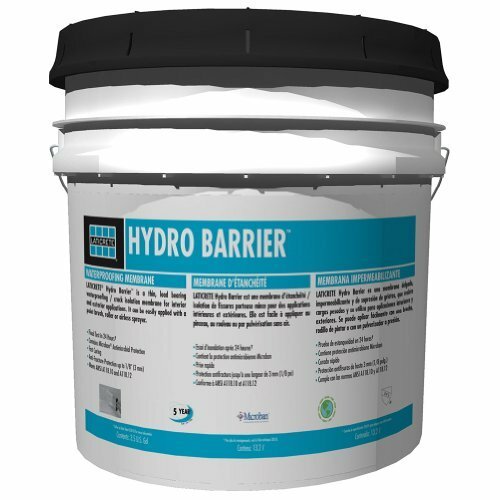 HYDRO BARRIER is a thin, load bearing, self curing liquid rubber polymer which can be easily applied to form a flexible, seamless waterproof anti-fracture membrane. 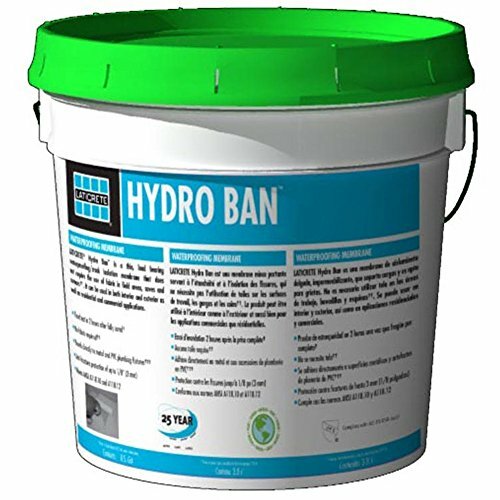 Anti-fracture protection of up to 1/8 (3 mm) over shrinkage and other non-structural cracks. Extra Heavy Service rating per TCNA performance levels (RE: ASTM C627 Robinson Floor Test). Fast curing; allows foot traffic in 4-6 hours @ 70 F (21 C), 50% RH. 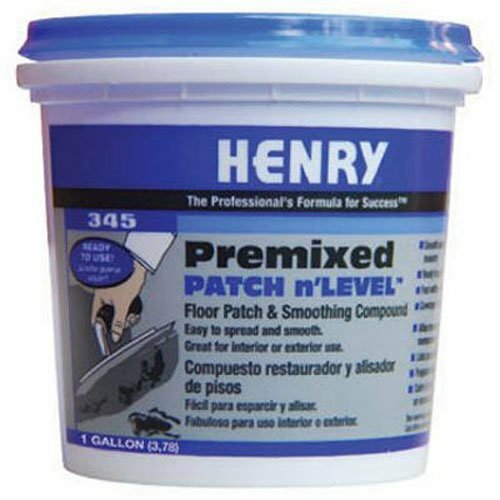 Henry 345, gallon, pre-mixed patch n' level patch, designed for smoothing & patching concrete, wood, & masonry subfloors prior to installing floor Coverings, coverage 4 to 5 sqft per QT at 1/8" & 16 to 20 sqft per gallon at 1/8".this product adds a great value. Product is highly durable and very easy to use. This product is manufactured in United States. 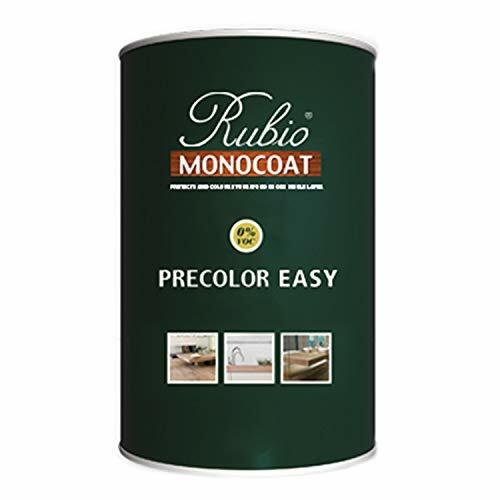 It is supplied in a clear gloss and satin finish and is a non-yellowing interior coating. a waterborne acrylic that is applied over KEMIKO STONE TONE STAIN and Rembrandt Polymer Stains. 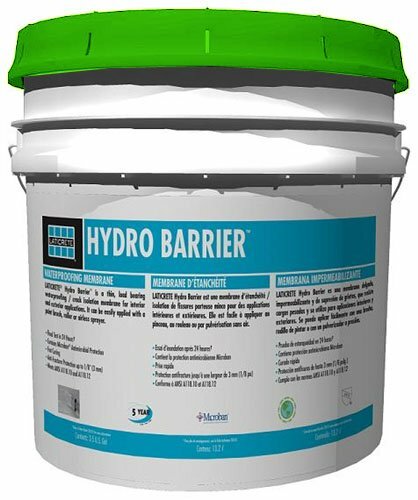 The USG Durock Brand Liquid Waterproo ng Membrane is an acrylic polymer-based product for both commercial and residential tile and stone applications. Suitable substrates include concrete, masonry, cement backerboard, gypsum- ber panel and gypsum-based cement topping. It can also be used as a shower pan liner in accordance with Section 417.5.2.5 of the IPC and Section 408.7 of the UPC. The product changes color when cured. 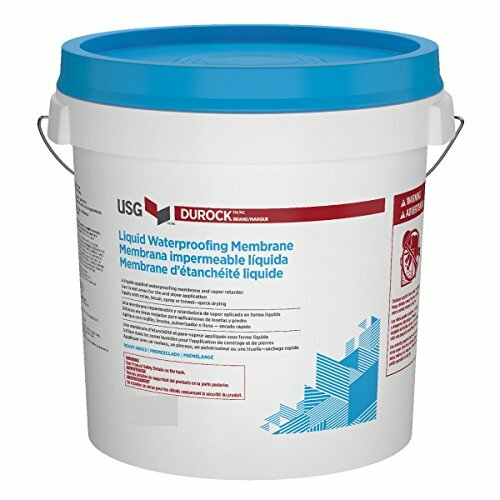 The USG Durock Brand Liquid Waterproo ng Membrane has the lowest permeance rating (0.43 perms at 15 mil dry thickness) of any liquid waterproofing membrane when tested to ASTM E96 Procedure E. It is ideal not only for showers and other wet areas, but also for continuous-use residential and commercial steam showers without an additional vapor retarder. PACKAGING SIZE AND COVERAGE One gallon (3.78 L) and 3.5 gallons (13.2 L). For smooth substrates, 80-100 ft2/gallon with one coat, 40-50 ft2/gallon with two coats, each coat at wet lm thickness of 15-20 mil. Coverage will be lower for porous or rough substrates. 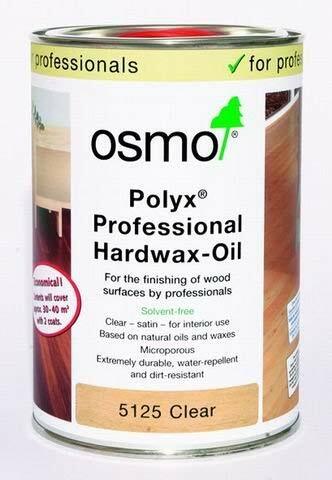 OSMO Plyx Professional Hardwax-Oil is a high quality solvent free Hardwax-Oil for use by professional flooring contractors and is suitable for all wood floors. Manufactured on a base of Natural plant oils and waxes. It is microporous and will not crack, flake, peel or bilster. natural sunflower, soybean, and thistle plant oils. 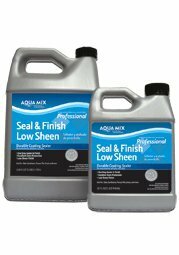 Aqua Mix Seal & Finish Low Sheen is a specially formulated water-based blend of acrylic polymers that provides both a stain resistant surface seal and a durable low-sheen finish eliminating conventional two-step methods. Aqua Mix Seal and Finish Low Gloss may be used as a pre-grouting sealer over clean tile surfaces a minimum of 2 hours prior to grouting. Aqua Mix Seal & Finish Low Sheen allows moisture vapor transmission and is not affected by ultr-violet light. Aqua Mix Seal & Finish Low Sheen is recommended for use on porous surfaces such as saltillo, terra cotta, adobe, slate, flagstone, sandstone, and quarry tile. Aqua Mix Seal and finish Low Sheen is equally effective for interior and exterior applications. Aqua Mix Seal & Finish Low Sheen expected wear is up to 3 years depending on hardness and texture of surface, type of area, surface wear, frequency and type of maintenace products used. High-alkaline or solvent-based cleaners will affect wear. Coverage: Approximately 300 to 1000 sq. ft. per coat per gallon depending on porosity and texture of surface. The fastest-curing finish on the market, StreetShoe is the industry benchmark for waterbased finishes. 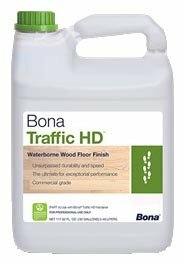 Ideal for all commercial, sports and residential applications. 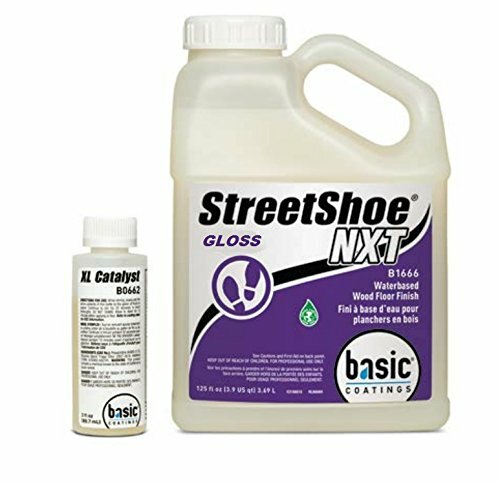 1 Gallon Size StreetShoe is the toughest and most chemical resistant finish on the market. 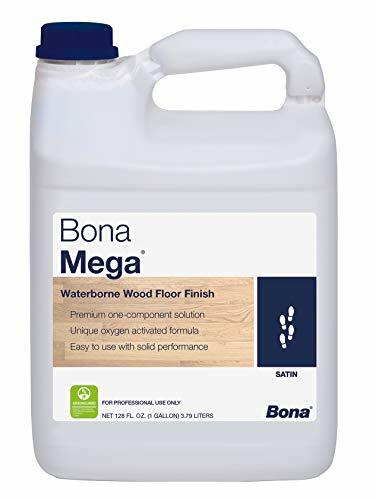 This fast curing formula allows for quicker access to the floor. Only Basic Coatings offers a waterbased nish in four sheens that can be applied in all environments - commercial, sports and residential. StreetShoe adds beauty and protection to any environment, and its UV inhibitor minimizes sunlight-related color changes. StreetShoe's two-component formula offers the durability and performance needed for commercial, residential and sports oors. THE FASTEST CURING AND TOUGHEST FINISH ON THE MARKET StreetShoe is perfect for commercial facilities because of its fast cure times and durable properties. A coat of nish can be applied at night, and traf c can resume the next day. Also available in Semi-Gloss, and Satin. Superior scratch and scuff resistant. Kit includes: heavy-duty solid steel pull bar, heavy duty tapping block; 20 -7mm expansion spacers. Easy to understand instructions. Tech-support program available through www.cal-flor.com. 3 After construction, the product must be removed before the cement/binder is completely solidified (please read the instructions of the layer material used carefully). 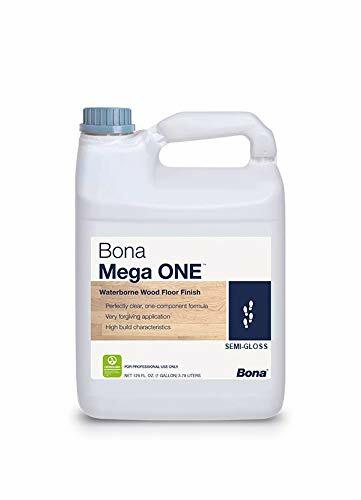 Please note: this product is not suitable for use when the cement layer or the rubber layer is less than 3mm(1/8in) in brick laying construction. 1 The New Innovative tile Leveling system helps DIY and Professional tile layers increase the efficiency of laying tiles and obtain a perfect, lippage-free finish. 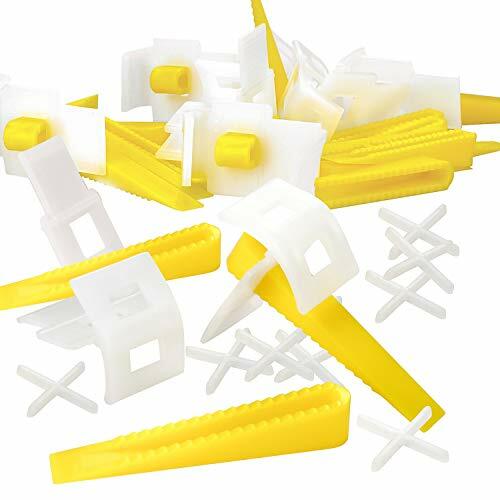 3 These ceramic levelers suitable for tile gap 1.5mm(1/16in)---3.5mm(9/64in). 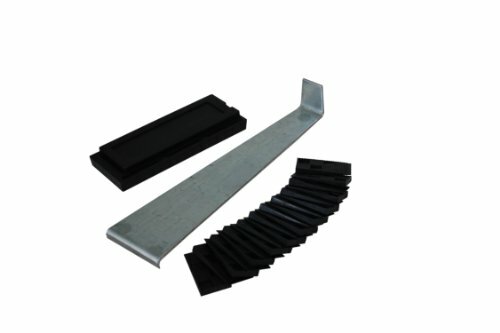 4 tile tools Material: POM(polyacetal pom) + 430 Stainless Wear-resistant, resuable.Easy to use for DIY operation. Re-usable wedges. save your money. 5 These tile levelers Virtually lippage free, flat surface drastically. Reduces the need for grinding and polishing. 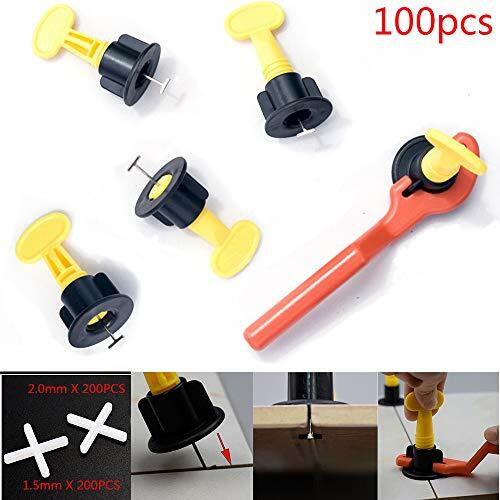 3 These ceramic levelers suitable for tile gap 1.5mm(1/16in)--3.5mm(9/64in). Cal-Flor multi-surface floor care kit is all you need to keep your wood, laminate, tile, stone, concrete, wpc, vinyl, and let surfaces looking their best! 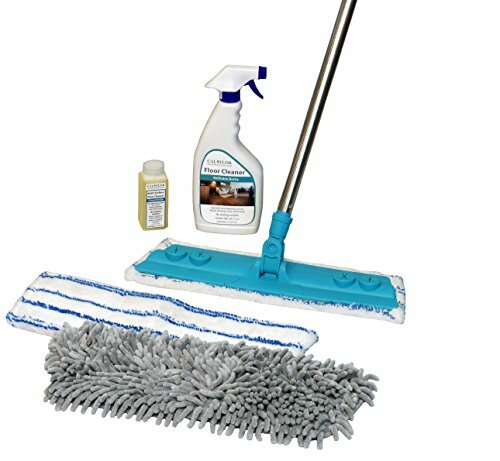 care kit includes: strong one-piece stainless steel mop handle, 4 x 15- swiveling mop head, 2- microfiber cleaning pads 5- x 16- (one for the mop and one for the wash! ), chenille dusting pad 5- x 16- , 4 oz. 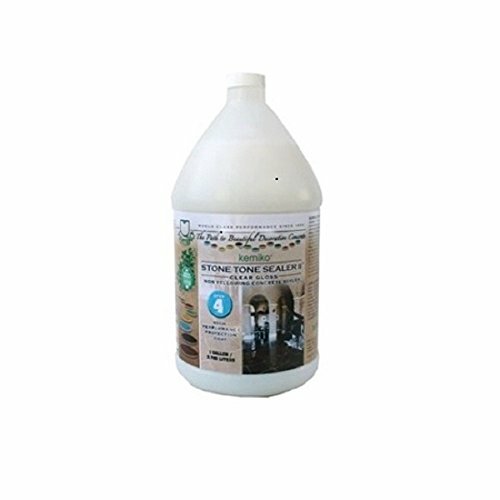 multi-surface floor cleaner concentrate, and 500 ml spray bottle. Our 4 oz. multi-surface floor cleaner concentrate makes up to 10 spray bottles of cleaner! spray bottle included for easy mixing and added convenience. Cleans all hard surfaces with no smears or smudges, and no waxy buildup. Cal-flor s 4 piece stainless Steele pole adjusts up to 5 feet tall, adding flexibility to clean taller surfaces, such as ceiling fans and walls. The 360 swiveling design of our mop head allows for easy cleaning under furniture such as cabinets, dressers, couches and beds! the mop head has two Velcro strips on the bottom to attach our microfiber deep cleaning pad and chenille dusting pad. There s even grip holes on top to hold disposable mop cloths! this mop has many cleaning solutions to fit your needs. Cal-flor s microfiber deep cleaning pad traps hair, dust, dirt and debris with ease. Deep cleaning scrub strips throughout the design, break through tough spots. Can be used for mopping or dusting adding versatility to a single tool. Cal-flor s chenille dusting pad is the best tool for attracting and trapping hair, dust, dirt and debris. The long fibers of this pad grab and hold common household dirt as it glides across the floor. When used daily this dust pad can reduce the risk of scratches caused by debris on your floor. Both pads can either be rinsed with clean water or machine washed! diluting directions: add 2 capfuls to 500Ml bottle, fill with water, mix well. For other bottles, use 4 capfuls for every 32Oz. Cleaning instructions: 1. Sweep or vacuum floor. 2. Spray microfiber pad or small area of floor with cleaner. Rinse pad with clean water as needed. Also available: chenille dusting pad refills, disposable dusting cloth refills, multi-surface floor cleaner concentrate refill and extra microfiber deep cleaning pad refill. Strong 4-piece stainless steel pole adjusts up to 5 ft.
Enhances the natural look and feel of the wood, Environmentally friendly: 0% VOC! Easy to maintain, Unlimited creative possibilities. Environmentally friendly: 0% VOC!